Designs that blend into your home and garden. Choose from our broad selection of interior and deck finishes, waterfalls, colored lights, slides, water jets, grottos, beach entries, mosaic accents and more… all designed to complement your custom pool and your lifestyle. More than 50 years of experience has made us experts in designing and building a wide variety of custom swimming pools and spas, while our commitment to exceeding expectations has earned us a reputation for superior quality and unparalleled customer service. 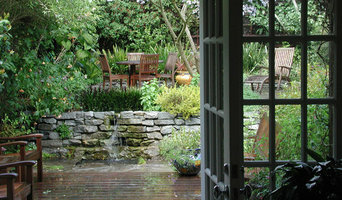 San Francisco Landscape Design/Build Company specializing in residential gardens. A full service company offering plan development, carpentry, masonry, irrigation, lighting, hot tub installation, and climate appropriate planting. Serving you since 1976, we're the Bay's exclusive dealer of HotSpring® Spas, the world's #1 selling hot tub! HotSpring Spas are energy efficient and easy to own. There's no complicated maintenance, no huge energy bill, and no noisy cleaning cycle. Just care free relaxation in the private comfort of your backyard. In the fireplace department we carry Avalon Stoves and Fireplace Xtrordinair, both made by the Travis Industries, the world's leading fireplace and stove manufacturer. 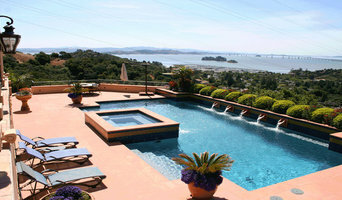 We have three showroom locations in the Bay Area: San Mateo, San Rafael & Richmond. Come visit us! GLM is a full service landscape design & construction firm, located in San Jose and in business for 20+ years. We specialize in Hardscapes and installing Endless Pools!